Walker, Russell. Winning with Risk Management. World Scientific Publishers, May, 2013. Walker, Russell. Operational Risk in the Insurance Industry. Book Chapter in Risk Management in Financial Services. Euromoney Publications, July, 2013. Walker, Russell and Ellen Douglas. “Identifying Hydrologic Variability and Change for Strategic Water System Planning and Design.” Chapter 12 of Monograph by the American Geophysical Union, Information Requirements for Water System Design. AGU Publications, March, 2003. Walker, Russell and Gary Cokins, Walt DeGrange and Stephen Chambal. Sports Analytics Taxonomy, V1.0. Informs ORMS Today, vol 43 no. 3, June, 2016. Walker, Russell – Contributing Member to Menus of Change 2016 Report. An Initiative of the Harvard School of Public Health and the Culinary Institute of America, June, 2016. Walker, Russell and Kyle Bell. What Cuba's New Wave of Entrepeneurs Need to Know. Fortune Magazine, September 19, 2015. Walker, Russell. 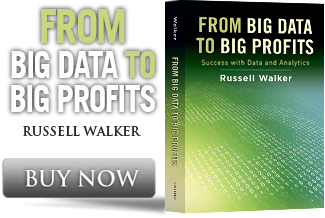 Monetizing Big Data for Big Profits: It Takes More than Algorithms. Forbes. September 9, 2015. Walker, Russell and Tom Davenport. LinkingIN to Data Products. The Wall Street Journal, July 22, 2015. Walker, Russell, et al. Supply Growth: Purchasing Challenges and Opportunities for Cuban Entreprenuers, Cuba Study Group Research Study, August 2015. Presented to US State Department and Congressional Study Groups on Cuba. Walker, Russell – Contributing Member to Menus of Change 2015 Report. An Initiative of the Harvard School of Public Health and the Culinary Institute of America, June, 2015. Walker, Russell. The Increasing Importance of Operational Risk in Enterprise Risk Management. The Journal of Enterprise Risk Management. 1(1), 2015. Walker, Russell – Contributing Member to Menus of Change 2014 Report. An Initiative of the Harvard School of Public Health and the Culinary Institute of America, April 2014. Walker, Russell – Contributing Member to Menus of Change 2013 Report. An Initiative of the Harvard School of Public Health and the Culinary Institute of America, April 2013. Walker, Russell. “Four Tips for Mitigating Risk of Cyber Crime.” SAS Knowledge Exchange, November 26, 2013. Walker, Russell. 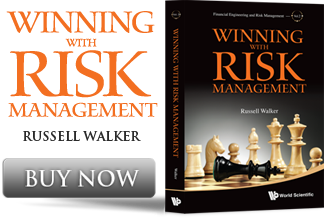 “Winning with Risk Management: Focus on Operational Risk.” The European Financial Review, October 2013. Walker, Russell. Role of Credit Rating Agencies as Risk Information Brokers. Prepared for the Anthony T. Cluff Fund and the Financial Services Roundtable, Presented to the US SEC and US Congress. Fall 2010. Walker, Russell and Dipak Jain. “Republic of Turkey: A Medical Tourism Destination for the United States.” An International White Paper for Turkey Medical Tourism Federation, April 2010. Walker, Russell. “Fortune Favours the Well-Prepared.” Financial Times. Managing in a Downturn: Risk. January 29, 2009. Walker, Russell, Jason Merrick and Jill Hardin. “Partnerships in Training.” Interfaces 36(4), pp. 359–370, INFORMS Publications, July – August 2006. Walker, Russell and J. R. Stedinger. “A Fate and Transport Model for Cryptosporidium.” Journal of Environmental Engineering of the American Society of Civil Engineers, vol. 125, no. 4, p 325-333, April 1999. Walker, Russell “A Fate and Transport Model for Cryptosporidium in the New York City Water Supply Watersheds,” Master of Science Thesis, Cornell University Library, August 1997. Walker, Russell and Greg Merkely. Chipotle Mexican Grill: Food with Integrity? Case 5-316-501, 2017. Walker, Russell. Bank of America: Consumers Fight Back. Case 5-116-001, KEL947, 2016. Walker, Russell and Joanna Wilson. Horse Trading: Food Sourcing in the Twenty-First Century. Case 5-216-250, KEL945, 2016. Walker, Russell and Kyle Bell. Nestle Ice Cream in Cuba. Case 5-315-504, 2015. Walker, Russell and Rafique Jiwani. Reinventing E-commerce: Amazon's Bet on Unmanned Vehicle Delivery. Case 3 5-315-501, 2015. Walker, Russell. Conseco: Market Assumptions and Risk. Case 5-311-509, 2014. Walker, Russell. Scandal at Société Générale: Rogue Trader or Willing Accomplice? Case 5-313-505, 2013. Walker, Russell. Maxxed Out: TJX Companies and the Largest-Ever Consumer Data Breach. Case 5-313-507, 2013. Walker, Russell and Wilson Joanna. Nokia's Supply Chain Management. Case 5-111-007 (KEL673), 2012. Walker, Russell and Karl Schmedders, Michael Stritch Arbor City Community Foundation: Executive Education Version Case (KEL588), 2011. Walker, Russell, Mark Jeffery, Linus So, Sripad Sriram, Jon Nathanson, Joao Ferreira and Julia Feldmeier. Netflix Leading with Data: The Emergence of Data-Driven Video. Case 5-110-006 (KEL473), 2010. Schmedders, Karl, Russell Walker and Michael Stritch. Arbor City Community Foundation (A): The Foundation. Case 5-310-502(A) (KEL585), 2010. Schmedders, Karl, Russell Walker and Michael Stritch. Arbor City Community Foundation (B): Managing Good Fortune. Case 5-310-502(B) (KEL586), 2010.